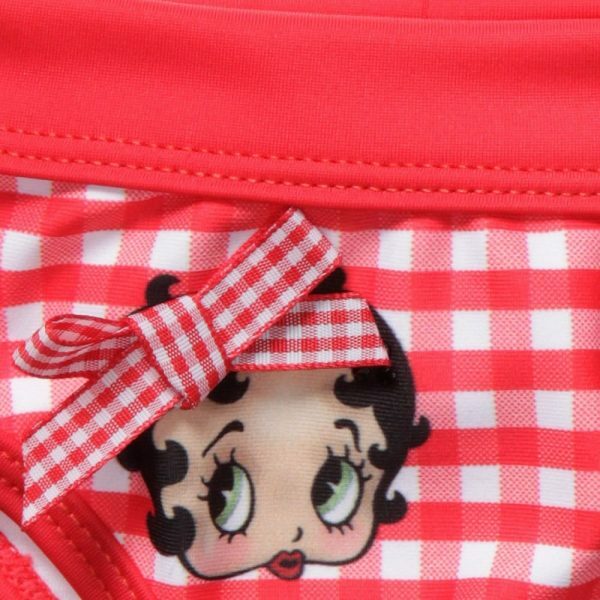 Adorable little girls red swim pants by Monnalisa Ny&Lon. The fabric is stretchy 85% polyester, 15% spandex. This pretty checked swim pant has a nice design with ruffles on the back. They are extra pleasant to wear thanks to elasticated waistband. These pants are an irreplaceable item in the summer for every girls. Hand wash is applicable. This item can be in different sizes for girls in the age from 12 to 36 months.